Join us for our renowned Easter celebration package! 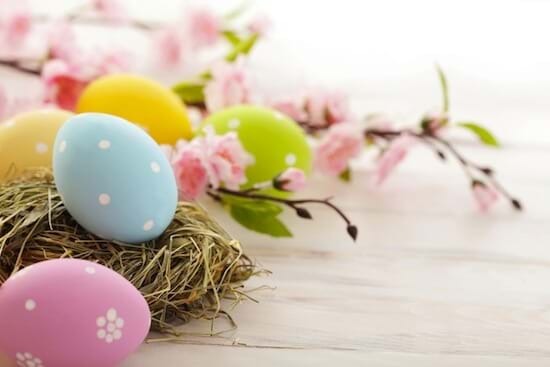 Based in tradition but luxurious in nature, our Easter package includes Mayiritsa to be served after midnight on Saturday night and authentic Greek entertainment on Easter Sunday while enjoying a mouth-watering gourmet feast! Please click on the offer to view our competitive prices.  Accommodation for One Night (27th – 28th April) in a Deluxe Sea View Room including rich buffet breakfast.  Cypriot Easter buffet dinner including Mayiritsa (Traditional Soup) after midnight mass.  Easter Sunday Buffet Lunch with Greek Music by our resident band and folkloric show.  Accommodation for Two Nights (27th – 29th April) in a Deluxe Sea View Room including rich buffet breakfast.  Fragranced towel upon arrival.  Bottle of Still Water and Fresh Fruits in room.  Tea & Coffee making facilities.  Wi-Fi throughout the hotel.  Easter candle for the Holy Saturday Night Mass.  Use of Gym, Sauna, Jacuzzi, Steam Bath & Indoor Pool.  20% discount in all treatments at “Musses Spa”.  Complimentary transfer to and from the church on Holy Saturday night. Cypriot dessert wine “Commandaria” as a farewell gift. o Adults: €25.00 per person. o Children up to 14 years old: €15.00 per child. o Adults: €45.00 per person. o Children up to 14 years old: €27.00 per child.